The ​Tottenham manager was all too happy to express how pleased he was with his players, telling ​Sky Sports: "I'm so pleased, so happy. We came from a really tough game on Wednesday against Arsenal and today the team was so fresh with plenty of energy. "We played very good football. It was fantastic. When you play that way you must be very proud. "The quality was amazing. Everton are a very good team. They scored and we were down in the score but the spirit was fantastic. That gives us an unbelievable feeling. It was so tough in the beginning. We dominated the 90 minutes and were much better than them. We have a very busy period but this is a fantastic way to start it." 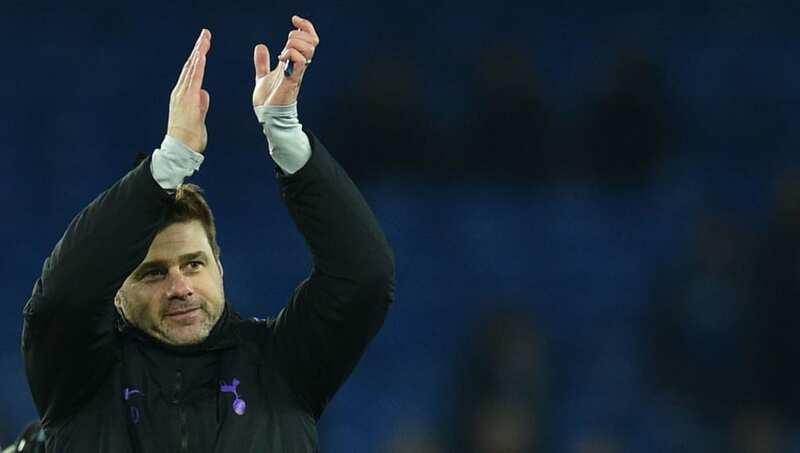 When asked to comment on Tottenham's potential title aspirations, Pochettino refused to rule his side out, but he admitted that they still remain the underdogs. "​Liverpool and​ [Manchester] City are the two favourites to fight for the Premier League. We are in a good position. But there are a lot of games to play. If you compare the results from Tottenham in past seasons I think we were consistent, but it was not enough to be a real contender. "Now we are close but we need to be cautious, go step by step, game by game and we need to be conscious about that and fight a lot to be consistent."